Custom made 8 sided table made to directly work with a fold-out games tabletop. No more wobbly drinks holders! Steel bases are available in a range of colours. 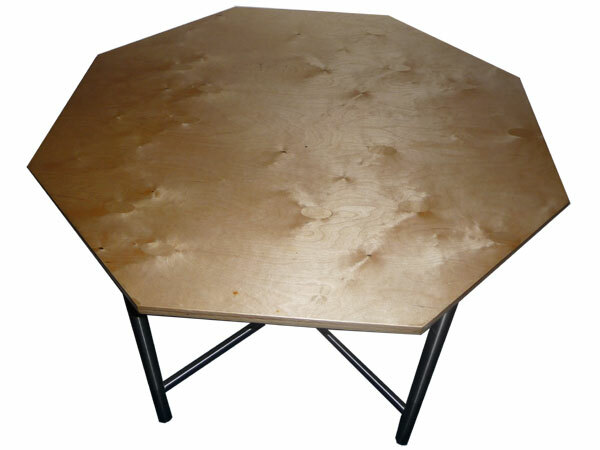 Table tops are available in a range of materials, colours and finishes.